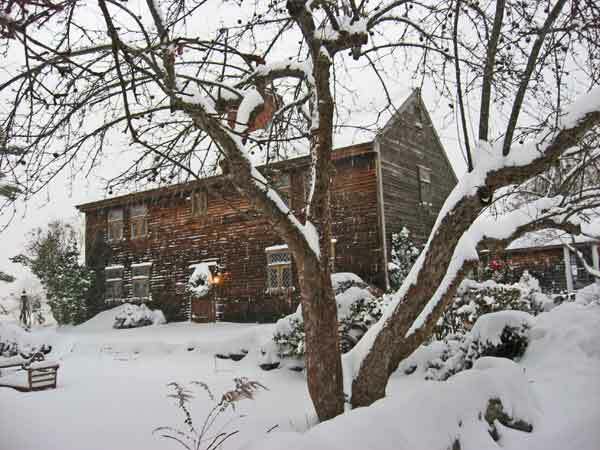 The Saltbox in winter. Photo by Johanne Cassia. There are more First Period houses—dating from about 1650 to 1725—in New England than anywhere else in the U.S. That doesn’t mean finding the right one is easy, particularly if one’s standards are high, and if the house must be in a town on the coast. It took Peter Scala and George Irving seven years of hunting to find this one. 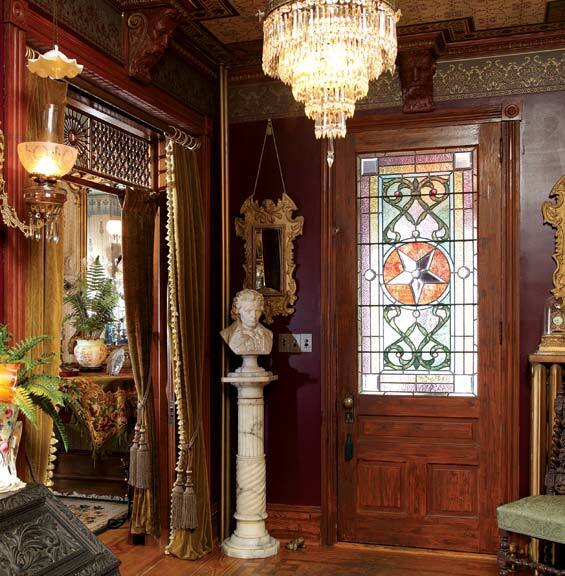 Peter already had been a long-time collector of early English furnishings and art, which would be appropriate and beautifully displayed in this house. Acting as the primary interior designer, Peter placed his antique collections throughout the Saltbox and its extensions. 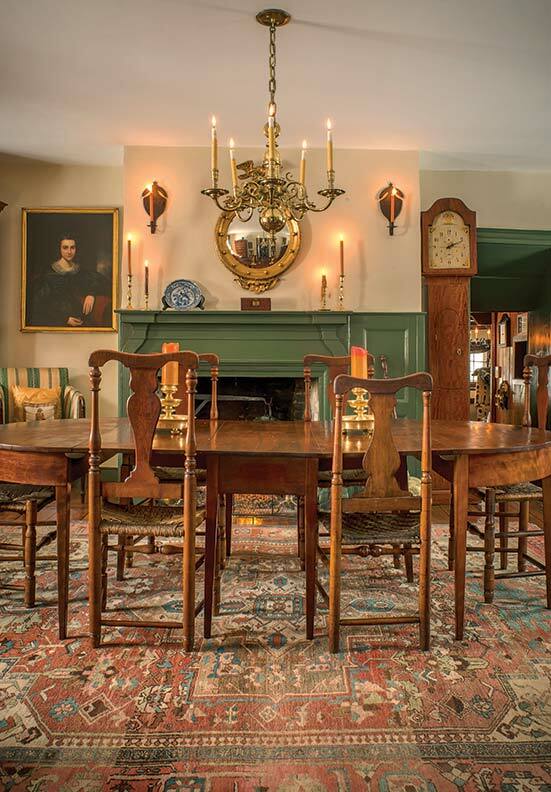 He chose richly textured, warm-colored fabrics for upholstered pieces, warming the English colonial house with a touch of Colonial Revival comfort. Amidst mostly English furniture, two American chairs flank the corner cupboard. The rocker dates to ca. 1820. 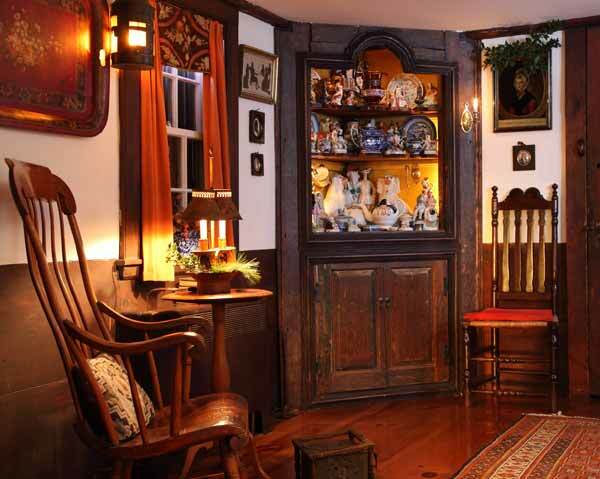 At right is a Gothic chair from New England. An antique cupboard that Peter already owned was right for the living room, but it was too tall for the low-ceilinged old room. Peter carefully removed and stored the feet to make the piece fit. On a cold and blustery evening in December, with two feet of snow forecast, the historic house glows from within as candles are lit and fires laid. Rooms appear unchanged over the centuries. Peter and George have no need to be anywhere else. The restoration of a beautifully reclaimed Dutch-English house in New York's historic Hudson River Valley.